1. What were you like at school? I’m currently a senior in my vocation high school where I take cosmetology. Everyone knows I wrote a book so it can be a little weird at times, but for the most part I’m just your regular old little book nerd in the classroom. 2. Were you good at English? I am! Last year I actually got an academic achiever award for having the highest grade in English in my junior class. 3. What are your ambitions for your writing career? Right now the plan is to keep writing and, when my second novel is finished, submit it to more agents in hopes of becoming traditionally published. Currently I set up workshops on writing in the area to promote myself as an author and also talk to other writers. I absolutely adore Tahereh Mafi’s writing. Whenever I read a book by her I just sit and wish that someday my writing style can be anything as beautiful as hers. 5. So, what have you written? I’ve written one book. Started writing two books, and am currently starting from scratch with the second novel I had started writing. I write a lot of short stories, but most will never see the light of day because they aren’t good. I also write journal entries, but of course those are extremely private. 6. Where can we buy or see them? 7. Give us an insight into your main character. What does he/she do that is so special? I don’t want to give away anything about my book, but Emma is a girl who has to learn to cope with letting go and teaching not only herself, but her mother and family how to deal with loss. 8. What are you working on at the minute? I’m currently writing the prequel to Essence that tells the story of how Phantom Lagoon and all its powers can to be. 9. What genre are your books? Everything I’ve written has been Young Adult, but they all vary in terms of fantasy and contemporary. 10. What draws you to this genre? It’s the type of books I love to read, so naturally it is the type of genre I learn towards when I write. 11. Which actor/actress would you like to see playing the lead character from your most recent book? I’ve actually never thought about it. I think every author wants to have their book turned into a movie, but right now my current goal is to become traditionally published first. 12. Have you written any other novels in collaboration with other writers? Never. It’s not that I have anything against it, it’s just that writing is something so private to me that I can never see myself writing in partnership with someone else. 13. When did you decide to become a writer? 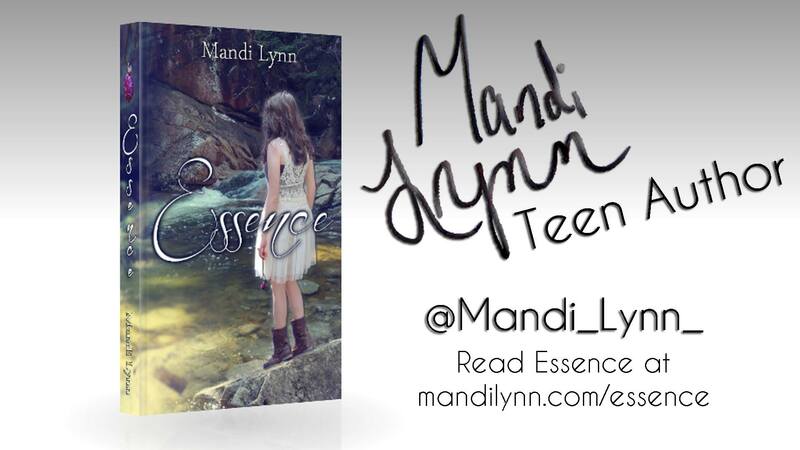 I wanted to be an author when I was 14 and had just begun writing Essence even though it was terribly written at the time. 14. Why do you write? I write because it’s something I love to do. I’m also completely convinced that if I didn’t I might actually go insane because writing is a huge outlet to me and one of my biggest stress reliefs. 15. What made you decide to sit down and actually start something? I used to hate reading, but then my friends introduced me to the YA genre. I’m not really sure what happened, but after that I just said I was going to write a book even though I had never written anything in my life. 16. Do you write full-time or part-time? I’m not sure what defines full-time or part-time. Right now I’m a full-time student in high school and next year I’ll be a full-time student in college. I also work part-time during the week, so a lot of the time I don’t even get to write. With that, I guess you could say I’m less than part-time, though I’d love to be able to write full-time. 17. Do you have a special time to write or how is your day structured? My days don’t have structure. I write when I write just because I have so much that I need to do in my life. I wish I had a special time to write, but as long as I get some form of writing done in the day, I’m happy. 18. Do you write every day, 5 days a week or as and when? Honestly put, I probably write five days a week. Things vary for me, but I usually write at the end of the day when I’ve gotten school work and everything else done. 19. Do you aim for a set amount of words/pages per day? 1,000 words has always been my goal. Sometimes it happens, sometimes it doesn’t, but I’m always thrilled when I get more than 1,000 words. 20. Do you write on a typewriter, computer, dictate or longhand? Computer. Always. I tried to write in a journal but my mind was faster than my hand and it was a mess. So now even my journal is electronic. 21. Where do the your ideas come from? 22. Do you work to an outline or plot or do you prefer just see where an idea takes you? I usually try to plot out a novel, but then there comes a point where I throw out everything I planned and just go with it. 23. How do you think you’ve evolved creatively? Looking back at draft 1 of Essence I know my writing has gotten more complex. It’s hard for me to juge my own writing, but I’d like to think that I’ve grown more poetic in parts of my style and diction. 24. What is the hardest thing about writing? The hardest thing is to keep working. A lot of the time I re-read something I’d written and wonder how in the world I have any talent, but then I remember there is a thing called revision. So I write and write and remind myself I can always fix things later. 25. What was the hardest thing about writing your latest book? The book I’m writing now is much more complex and required a lot of planning out that I wasn’t prepared for. It’s also a longer book with a lot more story to tell, so right now I’m just trying to figure out what exactly that story is. 26. What is the easiest thing about writing? The easiest thing is when my mind is spinning and I’m able to sit down and put the words somewhere. There’s a type of release that happens when you write that I think everyone should be able to experience. 27. How long on average does it take you to write a book? I don’t know. Essence took three years and I’m working on my second book now, but I don’t think it will take quit that long. 28. Do you ever get writer’s Block? Yes, all the time. If I didn’t work at it I would probably never finish writing any books, but I always remember that I have to at least finish and then decide if the novel is awful or is worth editing. 29. Any tips on how to get through the dreaded writer’s block? 30. If this book is part of a series, tell us a little about it? I’m working on the prequel to Essence currently, but I don’t foresee any other novel coming out of the story after that. 31. What are your thoughts on writing a book series. I love book series! They are the majority of what I read, but I think writing them is very different than writing a standalone because there is so much more you have to work to connect. 32. Do you read much and if so who are your favorite authors. I read a lot, which pretty much means if I tell you may favorite authors the list will go on and gone. I tend to change my favorite author from day to day, depending on what I read recently. 33. For your own reading, do you prefer ebooks or traditional paper/hard back books? I always prefer good old hardback. I don’t own any ebooks except for sample chapters if I’m not sure if I’ll like the book or not. 34. What book/s are you reading at present? I just started reading It’s Kind of a Funny Story by Ned Vizzini. 35. Do you proofread/edit all your own books or do you get someone to do that for you? I edit myself for a draft or two then bring in someone else to give me their opinion. After another round of edits I turn it over to a professional editor. 36. Do you let the book stew – leave it for a month and then come back to it to edit? Always. It’s the only way to actually catch the mistakes in your writing. 37. Who edited your book and how did you select him/her? Gary Smailes and Denise Barker were my editors for Essence and I found them through a reference section in a book on self-publishing. Their company BubbleCow, wasn’t the only editing service on that list, but they had the best quality work for the most affordable price. 38. Tell us about the cover/s and how it/they came about. Because I self-published I was able to design the cover myself. While looking at colleges my family and I went to Sabbaday Falls (the place that inspired my book) and took the photos. From there I worked a little photoshop magic and had a cover for my book. 39. Who designed your book cover/s? 40. Do you think that the cover plays an important part in the buying process? Absolutely. We all know we aren’t supposed to judge a book by its cover but I can point out at least ten books I bought purely because I fell in love with the cover. 41. How are you publishing this book and why? I self-published my book because I spent two years trying to traditionally publish it without any luck. IT’s not that I gave up, I just knew my book was ready to see the world, so I took things into my own hands. 42. What would you say are the main advantages and disadvantages of self-publishing against being published or the other way around? Self-publishing is a lot of hard work. I had to do everything myself and I didn’t know how to do most of it, so there was a lot of learning. I’m the only person who promotes my book, so because of that not a lot of people see my book. Publishers have connects and that’s something I lack right now. 43. Do you have any advice for other authors on how to market their books? I’m not the best person at marketing, and I’ll admit that. But I think as an author as long as you’re doing something, you are marketing. 44. What part of your writing time do you devote to marketing your book? The only real marketing I do for my book is making my YouTube videos and hosting writing workshops in my area. As the self-published author with next to no budget there really isn’t much I can do, but I try my best. 45. What do you do to get book reviews? The only thing I do to get book reviews is to write a good book that people will love. 46. How successful has your quest for reviews been so far? I get reviews occasionally. Whenever someone buys my book from me in person I always try to remind them to review it on Amazon or Goodreads if they get the chance. 47. Do you have a strategy for finding reviewers? No. Again, I don’t look for reviewers. I just hope someone finds my book and loves it enough to write a review on it. 48. What are your thoughts on good/bad reviews? Reviews can have a huge impact whether or not someone will buy a book. Good reviews are awesome, but bad reviews are just…unnecessary. Not that I don’t think someone has a right to state their opinion on a book, it’s just that most people will attack the book. 49. Any amusing story about marketing books that happened to you? Not too much has happened for me but my school actually put posters of my book up in the halls so one day I was walking to class and a girl said hi to me. I learned later that some of the English teachers were telling the incoming freshmen all about my book! 50. What’s your views on social media for marketing? Social media is pretty much the best form of marketing these days, and it’s free! So doing little things like tweeting and posting something on Facebook can have an impact on publicity for you and your book. 51. Which social network worked best for you? My biggest following is on YouTube because of my writing videos, but I like Facebook because I can share photos and quotes about writing without much effort and still spread myself over the social network. 52. Did you do a press release, Goodreads book launch or anything else to promote your work and did it work? When Essence first came out I had a huge book launch at my home. I ended up selling more than 60 books and the signing lasted an hour longer than it was supposed to. I also did a blog tour the week my book came out, which was hard to arrange, but I’d like to think it helped in promoting my novel. 53. Did you get interviewed by local press/radio for your book launch? 54. Is there any marketing technique you used that had an immediate impact on your sales figures? The week long blog tour I had arranged for my book definitely helped exposure for my book when it first came out. 55. Did you make any marketing mistakes or is there anything you would avoid in future? I wouldn’t say I made any mistakes, just that I should probably do more. If I had a budget and more time I would be arranging more signings, putting up ads, but right now that’s out of the question. 56. What do you think of “trailers” for books? I love book trailers, but I feel like most done by publishers aren’t always the best because they leave you more confused than wanting to read the book. 57. Do you have a trailer or do you intend to create one for your own book/s? 58. Do you think that giving books away free works and why? Giveaways are always great. Even if someone has no idea what your book is about they tend to enter. Giving out a free book is a great way to gain exposure anywhere. 59. Did you format your own book? I did format my book. It was a learning process, but after about a week messing around with settings I found a format that worked for me. 60. In what formats is your book available? My book is available in paperback and almost ever ebook format. 61. What is your favorite motivational phrase? 62. What is your favorite positive saying? “Happiness is a choice.” And it’s so completely true! 63. What is your favorite book and why? Wintergirls by Laure Halse Anderson. It is my favorite for a lot of person reasons but also because it is the only book that became so intense that I had to sent it down for a moment and breathe. 64. What is your favorite quote? 65. What is your favorite film and why? I’m actually not much of a movie person, but a good book-to-film adaption is always nice. So We’ll just say The Hunger Games and Catching Fire are my favorite films for very obvious reasons. 66. Where can you see yourself in 5 years time? In five years I’ll be out of school and hopfully have a very nice life starting out. I’d like to hope I’ll be writing full-time but if I’m off somewhere working in a salon with my cosmetology license writing on the side, I’ll be okay with that also. 67. What advice would you give to your younger self? 68. If you could have been the original author of any book, what would it have been and why? That’s a very hard question to answer because there are so many good books I wish I could say I had written. But if I had to choose one? Then I’ll turn back to Wintergirls because that story is not only very personal to me, but the writing is so breathtaking, to be able to say I had written it would be just stunning. 69. What advice would you give to aspiring writers? Keep writing. Even when you feel like your writing is awful, keep writing. Because the only way to get better is to keep trying. 70. Where do you see publishing going in the future? I’m keeping my fingers crossed that someday I’ll be traditionally published and be able to call myself a best-selling author. Until then I’m going to keep doing what I do and working hard and, of course, writing. 71. Is there anything else you would like to add that I haven’t included? People are going to say you can’t make money off of writing a book and maybe that is true sometimes. But if you love something enough and pursue your passion, you’ll be able to make career out of doing what you love. 72. How can readers discover more about you and you work? Check out my website or YouTube channel! I post tons of books and do giveaways every now and then. I also sell signed bookplates on my website! 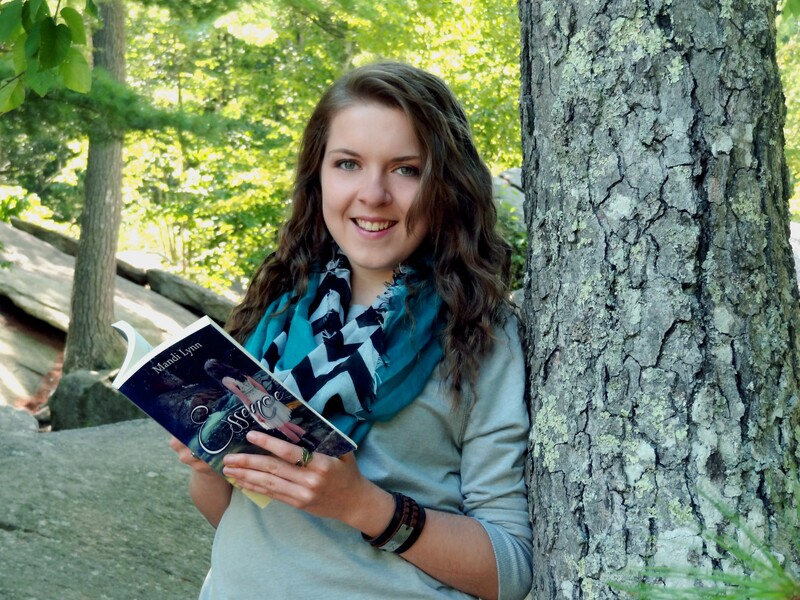 This entry was posted in Interviews and tagged author, book, Essence, inerview, interview, interviews, Mandi Lynn, reading, Teen. Bookmark the permalink.